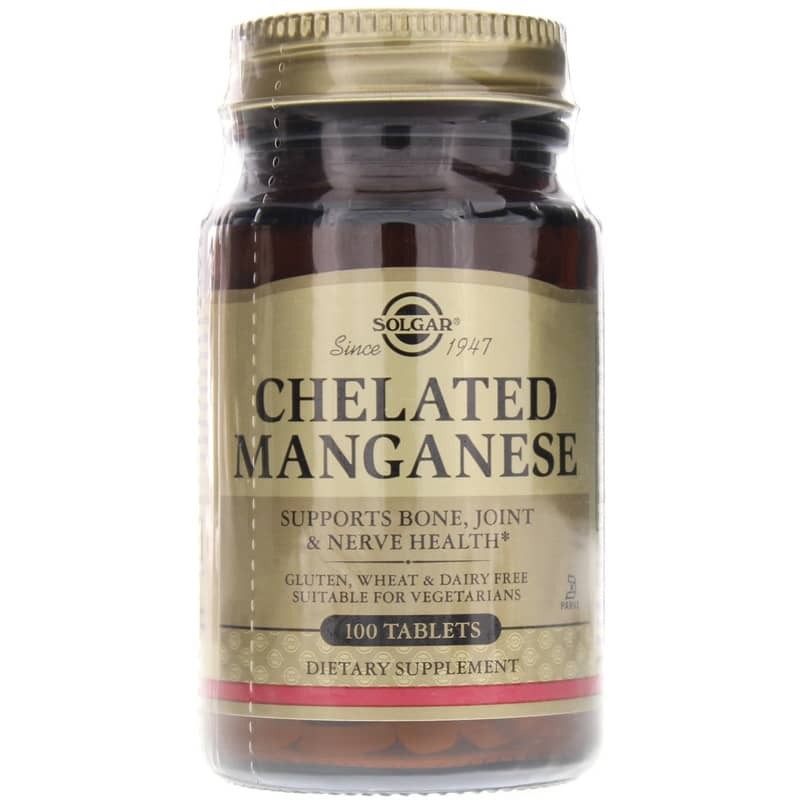 Chelated Manganese Tablets from Solgar provides a patented form of chelated manganese for bone, joint and nerve health support. Manganese promotes bone and joint health. Manganese-containing enzymes promote healthy cartilage production. Manganese also nourishes nerves and works with Super Oxide Dismutase (SOD) to function as an antioxidant in cells. 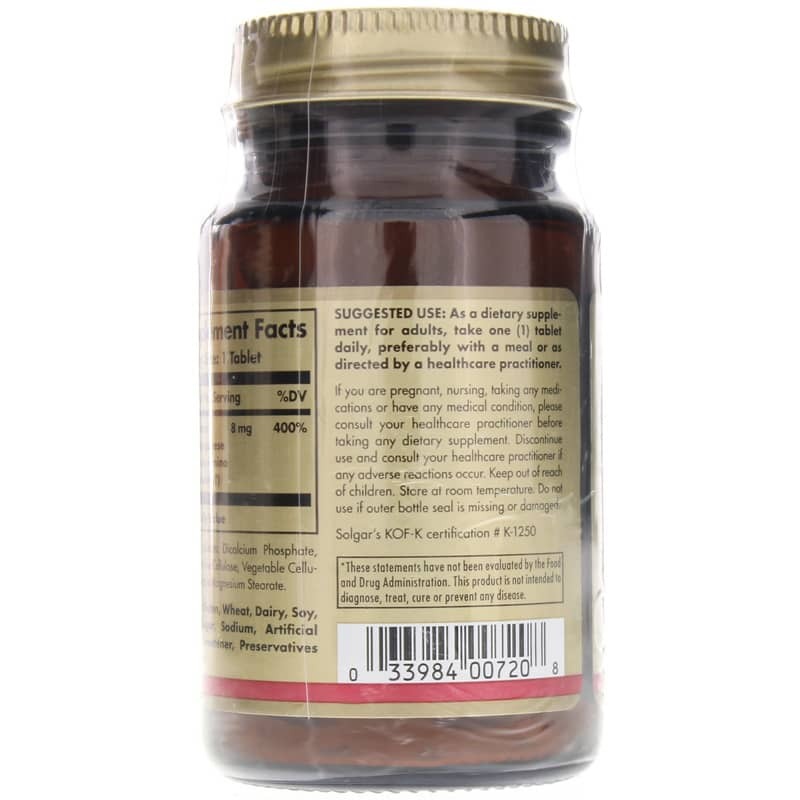 **Solgars Chelated Manganese Tablets are manufactured under license agreements with Albion Laboratories whose patents and pending patents cover the complexing of minerals with pure amino acids. 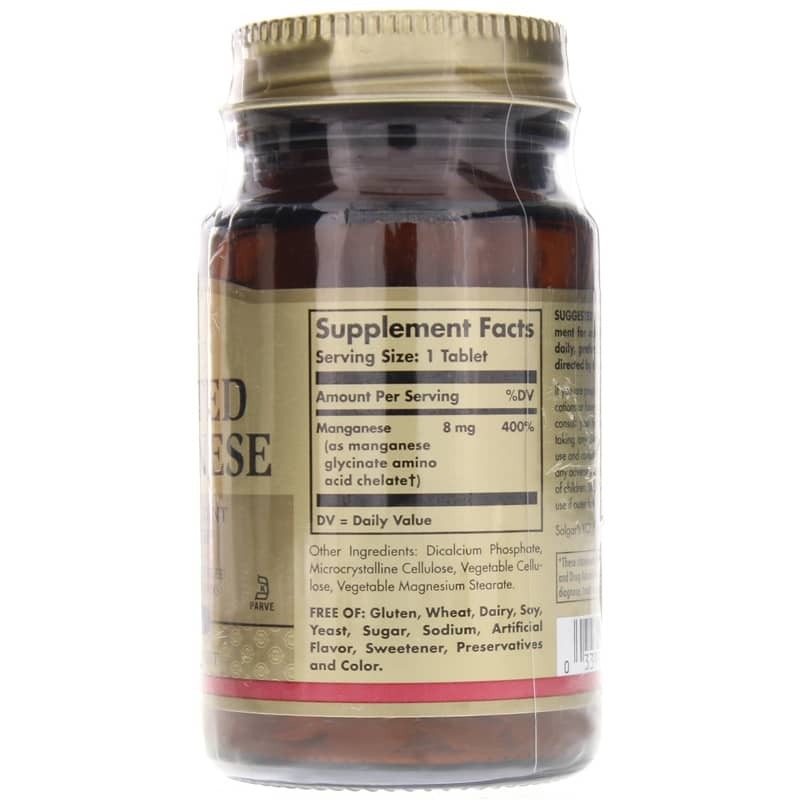 This supplement has helped so much with blood sugar dysregulation, fatigue and low dopamine symptoms. However 8 mg is way too much. I divide the tablet into 4 and take a piece in the morning. It can be stimulating if taken at night.